We have all been given one life and I think it is our responsibility to look after ourselves. I often observe how stressed people are and they have absolutely no strategy for stress management in place. Today I would like to talk about how we divide our time. Introverts (people who renew their energy by being alone) need more time alone but it is important to recognize that we all need “me time”. May this be by playing the drums in the basement, going for a walk / run, sitting down with a good book, listening to your favourite music, meditating, or going for a long drive. These are just a few examples. You are important. Make time for yourself! We all have to learn to enjoy our own company and do the things that help us to relax, recover and energize. 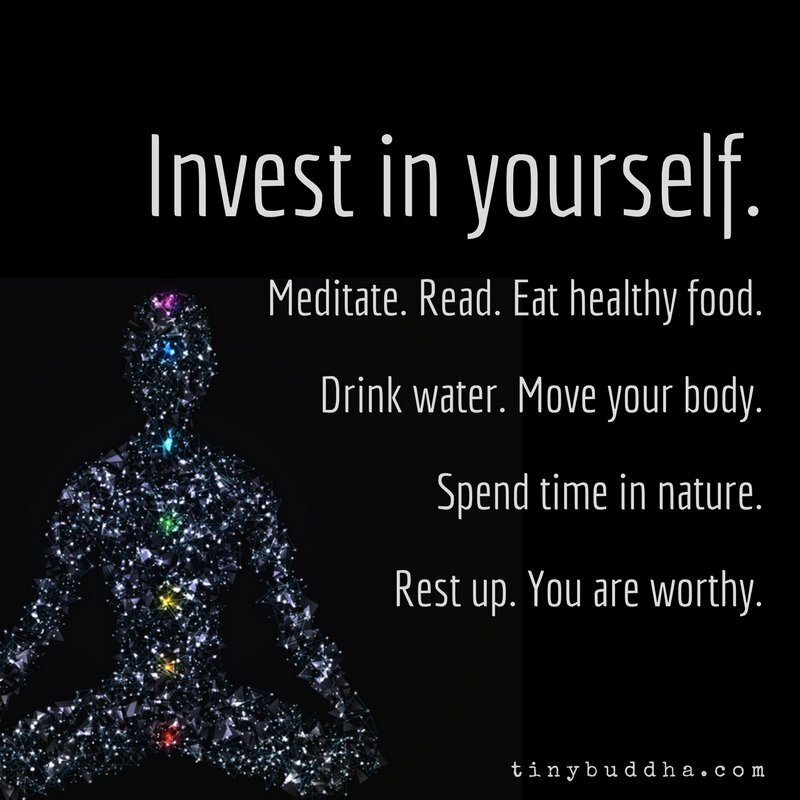 Invest in yourself and your health. You are worth it!